What Is Cancer Awareness? Why Raise It? 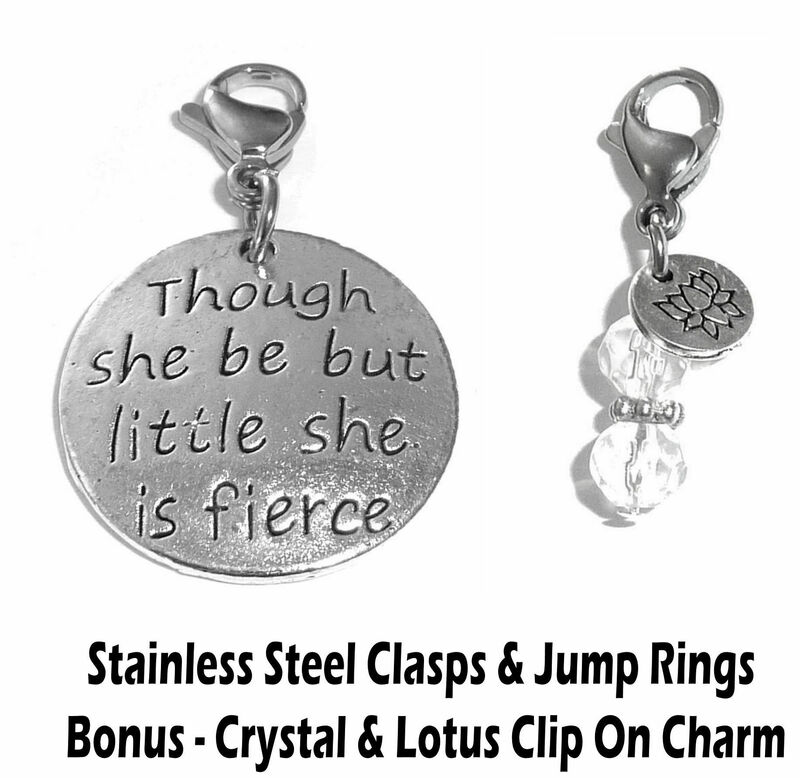 Inspirational, Imaginative, Encouraging Charms! – Choose charms that suit the occasion! 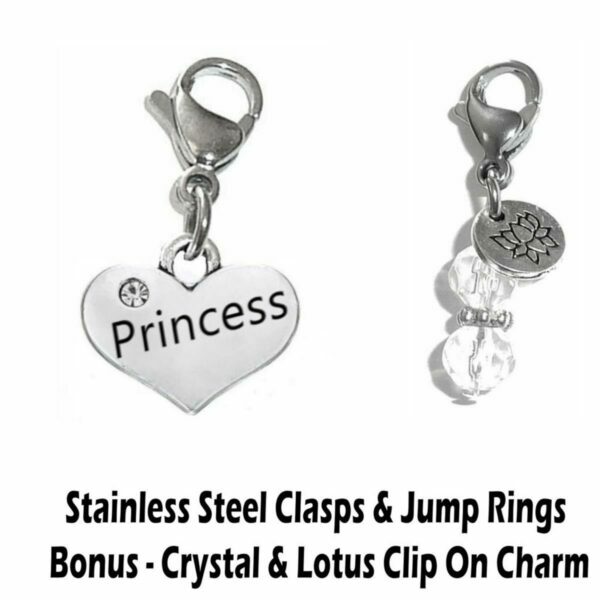 Clip on charms make great birthday, graduation, anniversary, or friendship gifts! 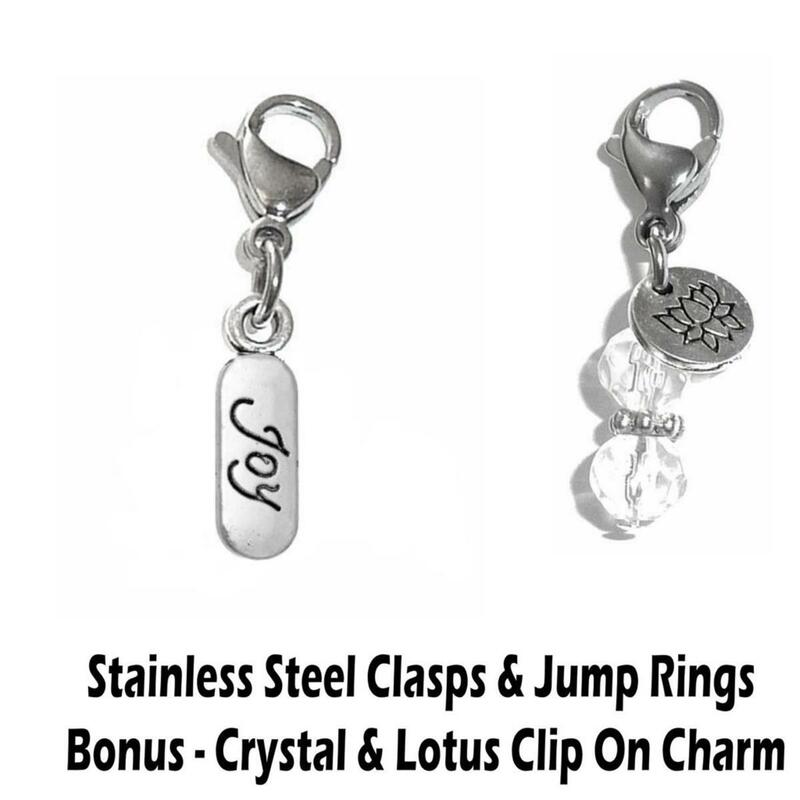 The featured charm comes with a bonus crystal & lotus flower charm, as well! Create Your Own Unique Jewelry! – Choose charms that suit your personality and move them from your purse, handbag, necklace, bracelet or anklet with ease! 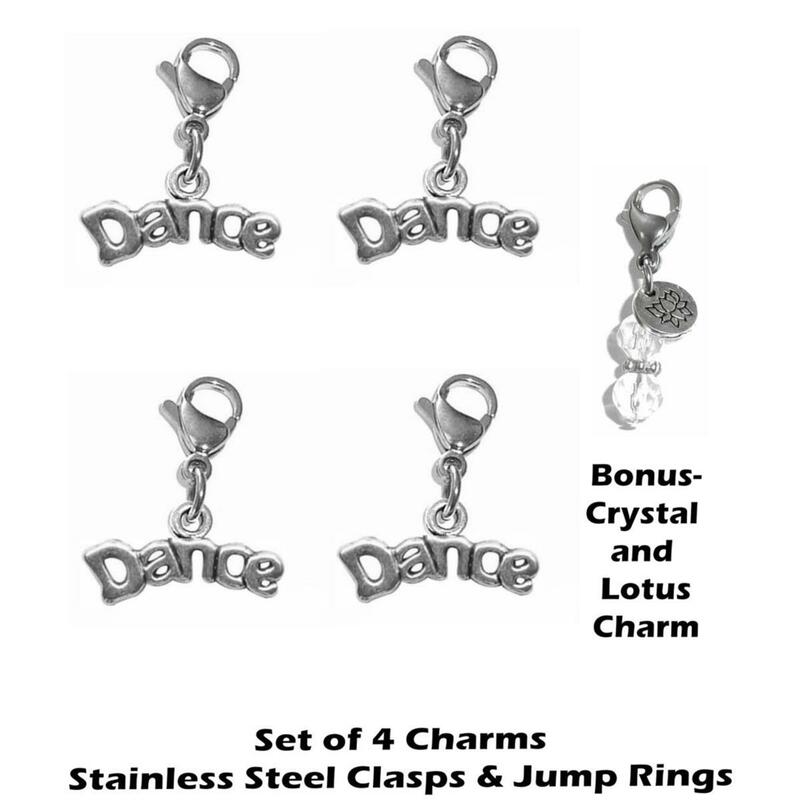 Purse & Bag Charm – Jazz up your purse, handbag, backpack or key ring with personalized charms that are perfectly you! Stainless Steel Jump Rings And Lobster Clasp! – Won’t dull or rust! Easy to use lobster clasp makes moving your charm a breeze! Hidden Hollow Beads’ zipper charms are handmade right here in the US! We pride ourselves on our excellent customer service. If you experience any problems with your purchase, please contact us and let us make it right! Discover enchanting charms that clip on to anything! Create jewelry and add stylish touches that are perfectly you! Clip these whimsical and delightful charms onto anything, your purse, backpack, bag, zipper or shoes! 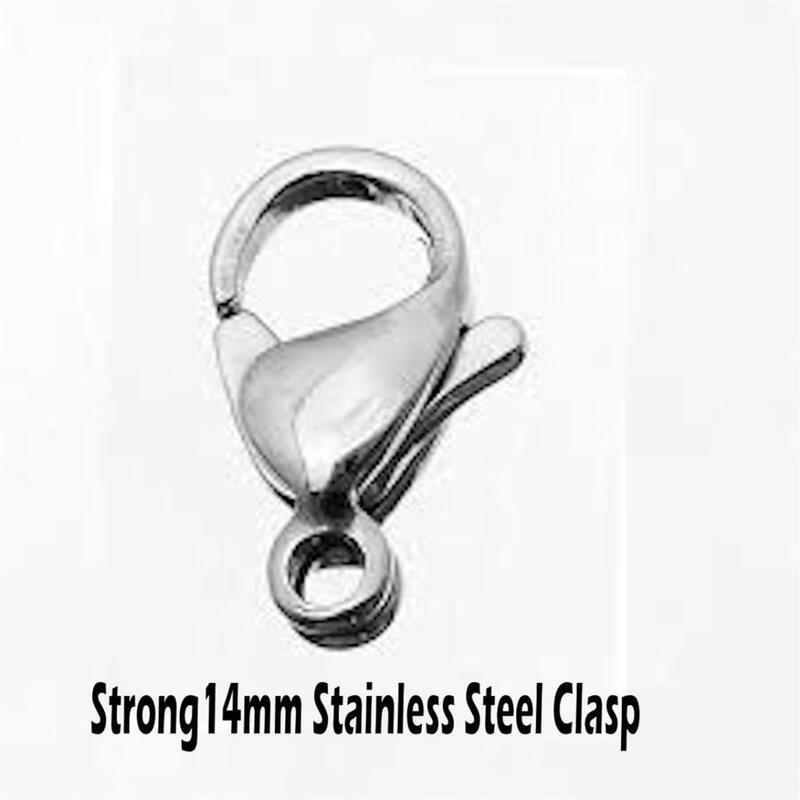 Or, use the easy lobster clasp to move the charm to your favorite charm bracelet, necklace or anklet. It’s do it yourself jewelry that just couldn’t be easier! You’ll find the perfect charm for everyone you know! 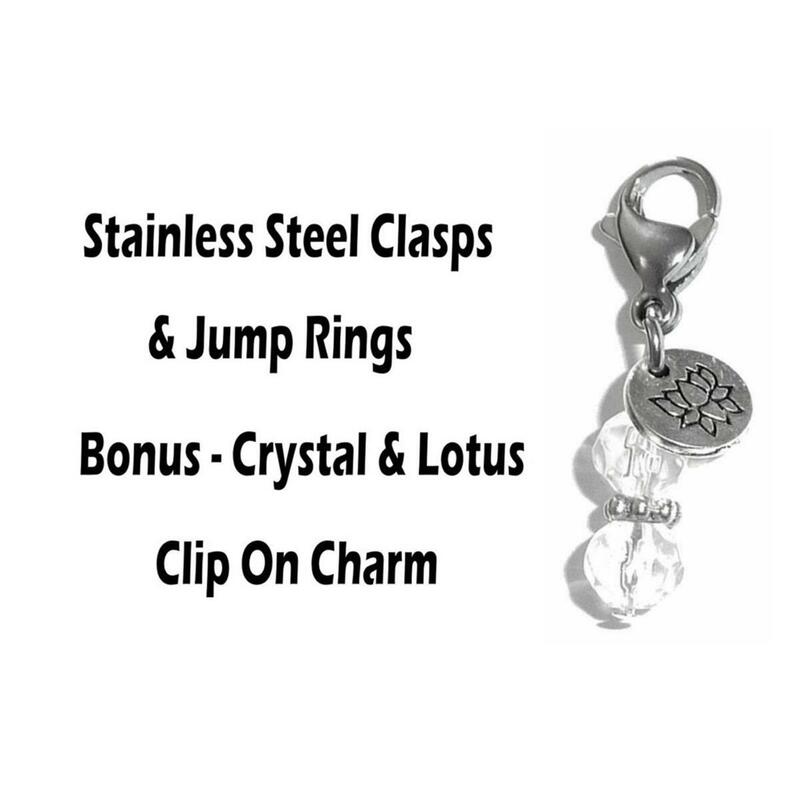 Handmade in the USA, these creative charms are crafted using stainless steel jump rings and a stainless steel lobster clasp. The easy to use lobster clasp makes moving the charm from place to place a breeze! We pride ourselves on providing superior customer service. If you’re not 100% satisfied with your purchase, please contact us and let us make it right. We love our products and want you to love them, too! ***Please note that the antiqued silver charms themselves are not stainless steel. 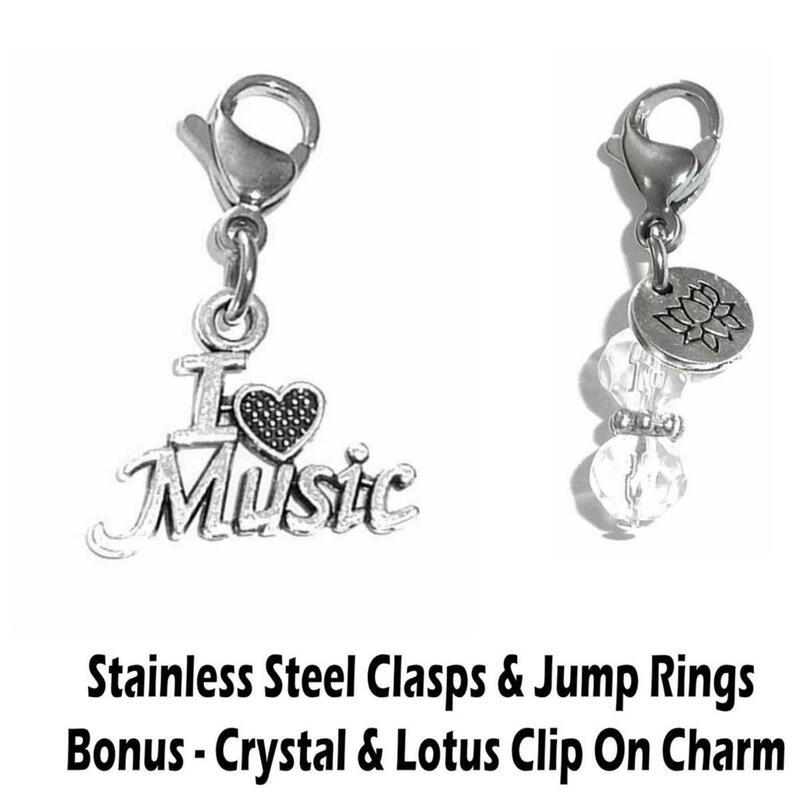 All of our clip on charms will come packaged in a clear plastic bag.